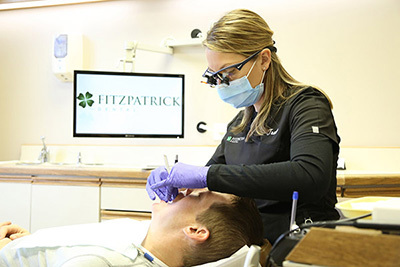 At Fitzpatrick Dental, your family becomes our family. We provide total solutions focusing on keeping your family happy and healthy while saving you time, hassle, and expenses in the future. 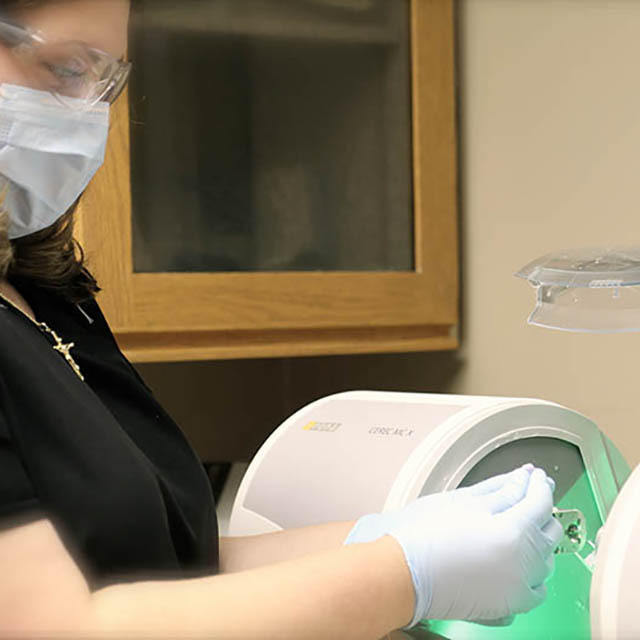 Using CEREC milling technology, we can create new tooth structures with needlepoint accuracy to ensure proper fit, bite, and longevity. Our crowns will restore damaged teeth back to its optimal strength and function while promoting a seamless blend with the rest of your natural teeth. Isn't it time to give your smile a second chance? Dental implants are the next best thing to natural teeth. Why? Implants restore your abilities to eat, speak, and laugh with confidence. 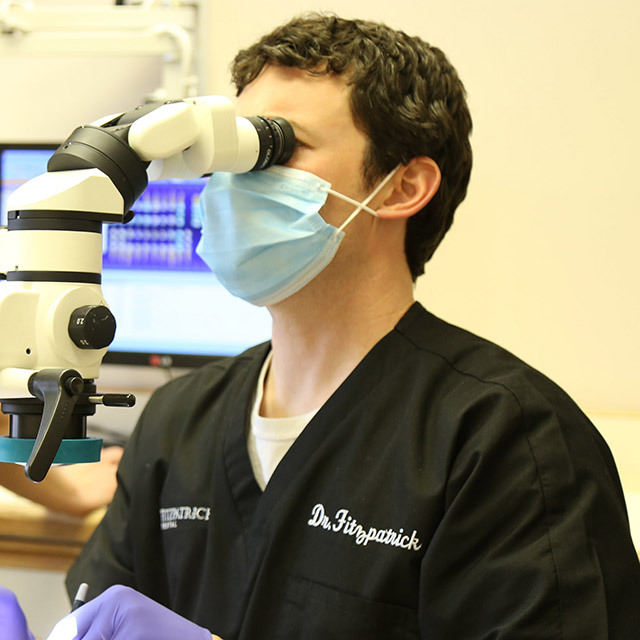 At Fitzpatrick Dental, we can place and restore your dental implants with precise accuracy and life-changing results. Come in for a visit to see for yourself. 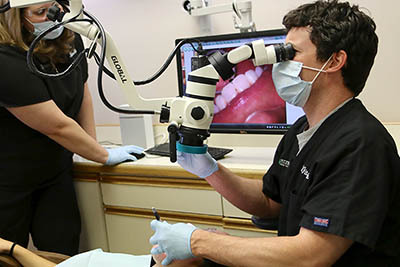 As part of our family dentistry near Evergreen Park, we use the Global G6 oral microscope to identify any troublesome areas. 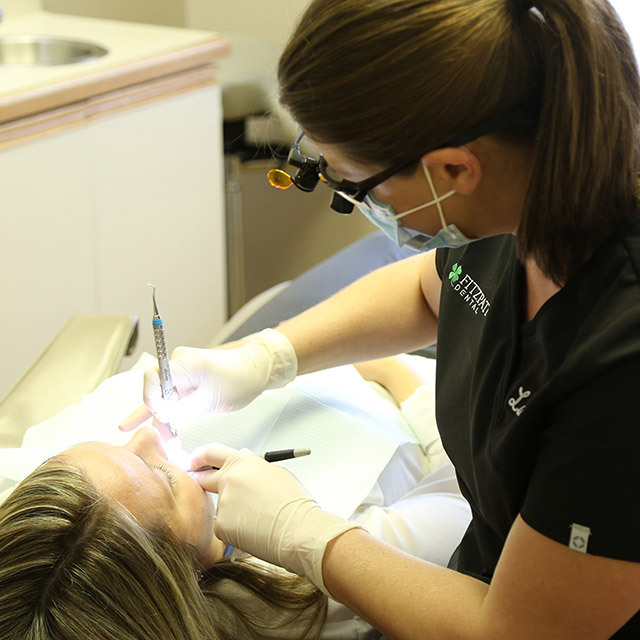 We use the highest quality materials to cover or fill a tooth with severe decay, cracks, or chips while fitting the anatomy of your natural tooth. Nightguards protect your teeth from clenching or grinding while you sleep. This often-unrecognized habit can wear down your teeth and may lead to painful TMJ issues or costly dental problems. Our custom-made nightguards are better than over-the-counter products because they are specially designed to protect your teeth, allowing you to sleep peacefully. It’s better to be safe than sorry. Sealants are thin, plastic coatings painted onto the chewing surfaces of your teeth. They provide that extra defense to prevent tooth decay in those hard-to-reach crevasses. This keeps your teeth glowing and healthy for a long time – cavity free! Gone are the days of slippery, rebellious dentures. 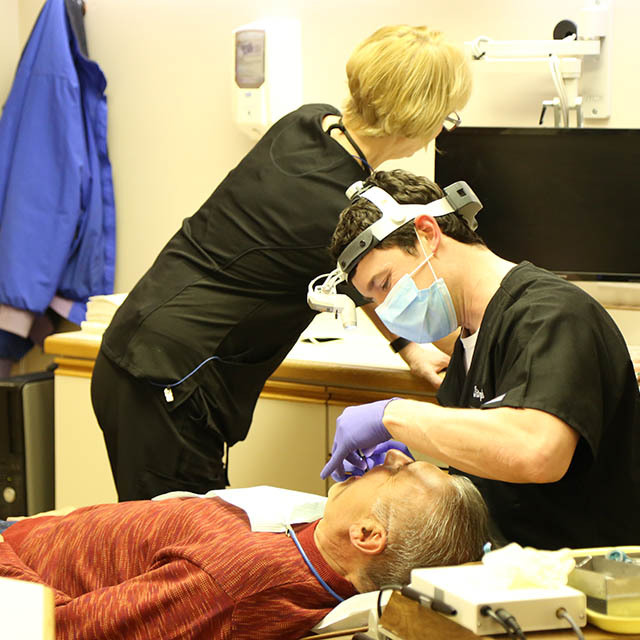 Dr. Fitz can provide full or partial implant-retained dentures by preparing a fixed set of prosthetic teeth. This type of denture fits securely into the jawbone and blends naturally with your facial features, giving back the ability to eat, laugh, and smile confidently! Healthy gums = a healthy body. 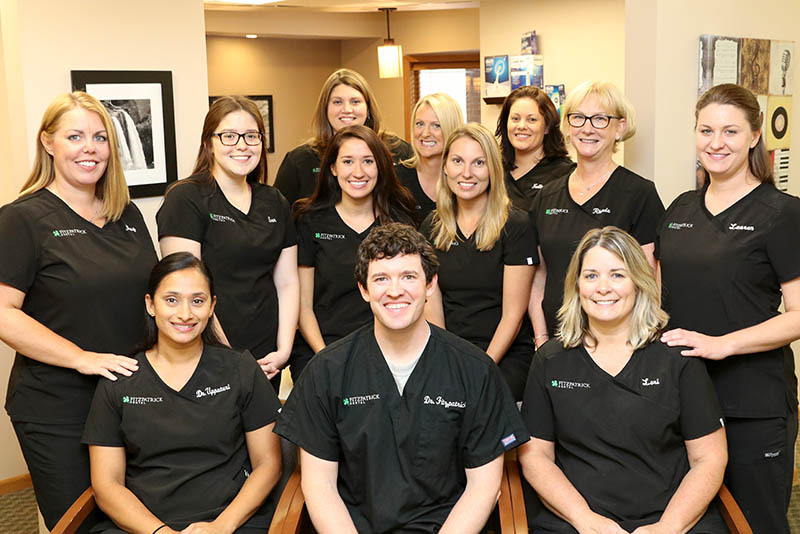 Since gum disease is directly linked to heart failure, digestive problems, reproductive deficiencies, and oral cancer, gum therapy is vital for your health. 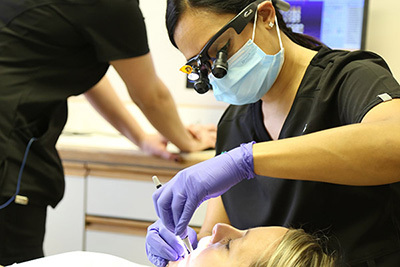 With modern technology and a full range of skills and techniques, we offer a long-term solution for maintaining your gums' beauty and health. 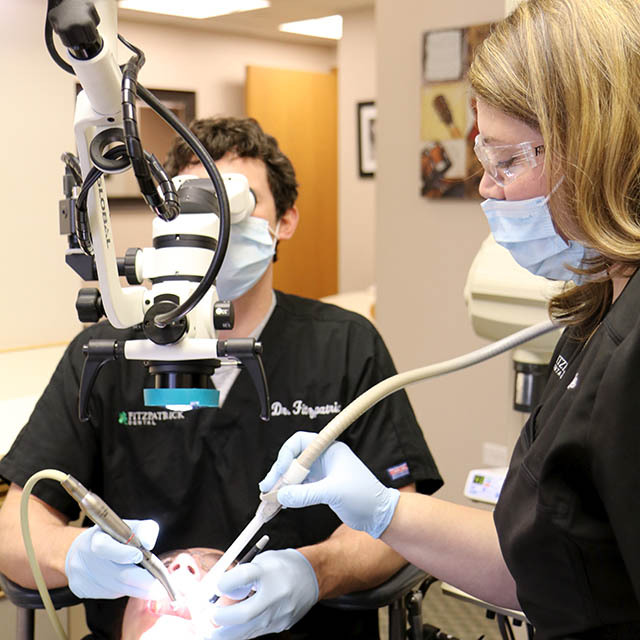 Extensive damage for an extended period gives us no other option but to remove a tooth to keep you healthy. 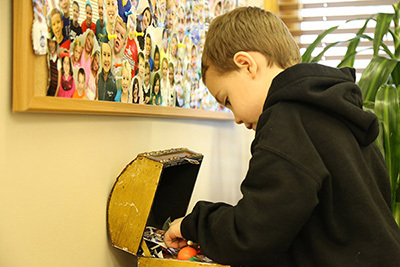 Our gentle, pain-free solutions include Nitrous Oxide (laughing gas) and advanced techniques to make this visit one you’ll laugh about later. 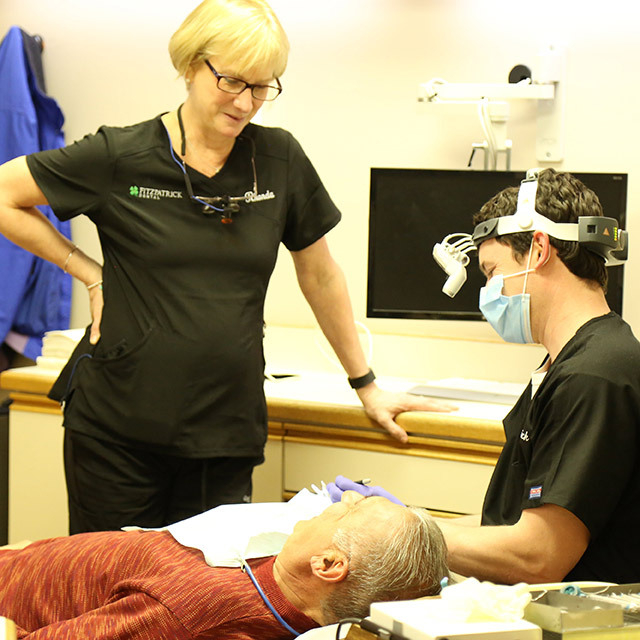 We can even provide solutions for replacing the extracted tooth with dental implants or bridges.